Saha-Union Public Company Limited and subsidiaries are committed to business operation with responsibility towards the society and environment, in order to benefit every stakeholder and to promote the sustainable growth under the good corporate governance. Saha-Union Public Company Limited and Group Companies are aware of the importance of social, community, and environment development, thus encouraging its participation for the cause by conducting business with a sense of responsibility towards the society through various activities, based on its core ethical values, “Integrity, Quality, and Service”. 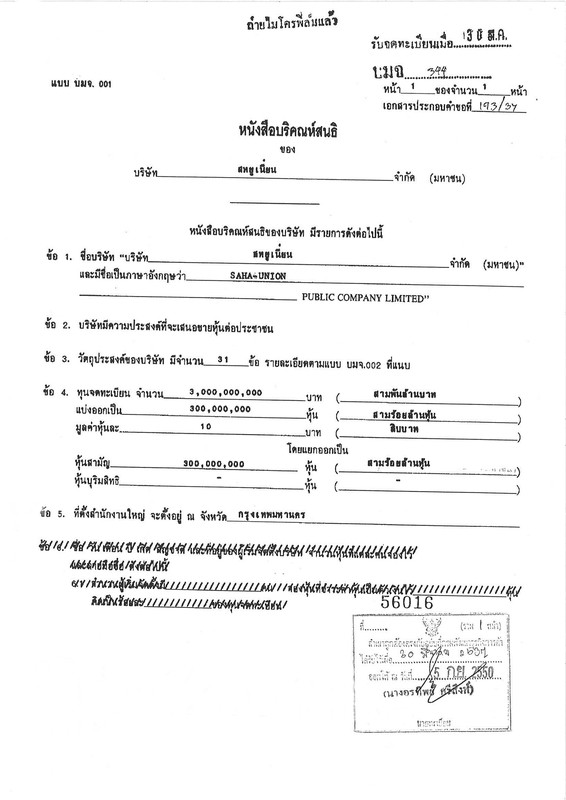 The Company constantly collaborates with the government, public sectors, and associated organizations, so as to conserve valuable Thai cultures and traditions, demonstrating the commitment to creating shared values between business and the society necessary for the sustainable development. 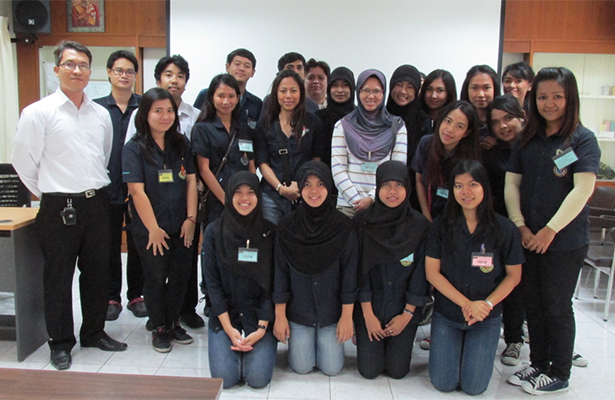 Student from Prince of Songkla University visited the factory. Saha-Union Group recognizes the importance of learning as a foundation for the development of knowledge, skills, and expertise which contribute to a stable career, as well as the benefit of the society. Therefore, the Company provides support to the education in schools, universities and communities. 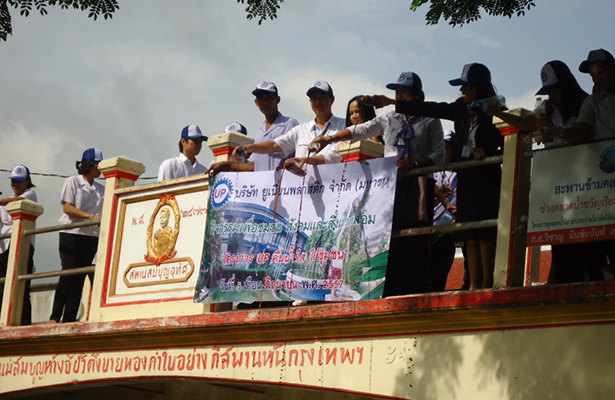 A Group Company participating in the campaign, “Clear Water Back to the Community,” held on World Environment Day, collaborating with Bang Chan Industrial Estate by pouring bio extract into the San Sab Canal, at Wat Bamphen Nua, Bangkok, so as to rejuvenate the canal. Saha-Union Group promotes and builds awareness to employees in the efficient use of natural resources, and participates in the conservation of natural resources and environmental.A good company must be responsible for good environment of the surrounding community. In hope that these valuable natural resources will remain for next generations, Saha-Union Group has become part of development and conservation of environment along with its business engagement. 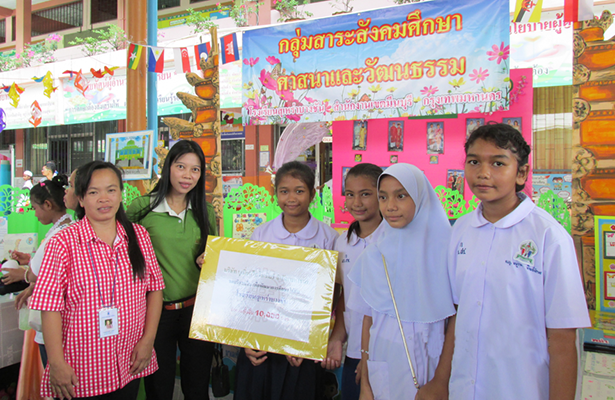 Donation for children development at Bang Chan Mosques School. 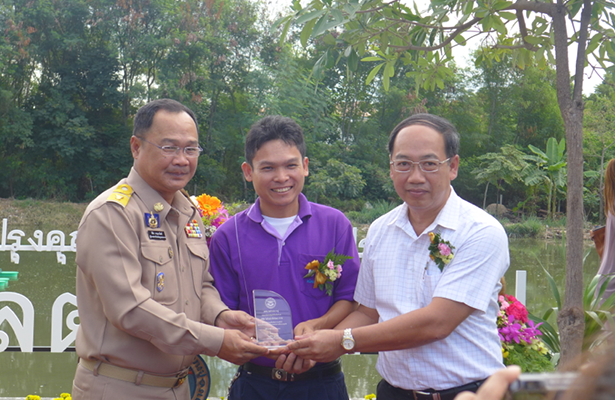 Sponsoring and giving the Children’s Day gift to schools, police stations, and communities. 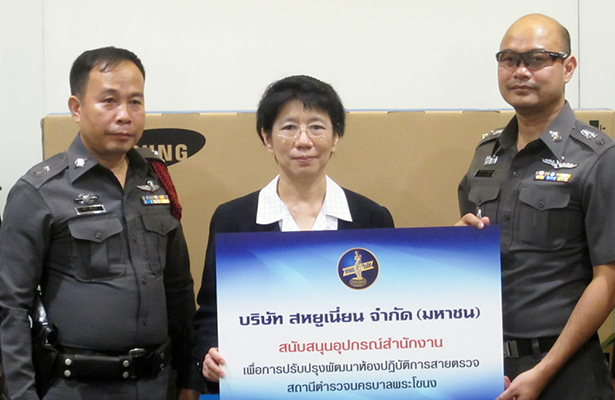 Supporting equipment for improvement laboratory of Phra Khanong Metropolitan Police Station. Saha-Union Group has continuously supported and participated in activities related to community or social development, both the private and public sector agencies, including anti-corruption and encourages employees to participate in social development, as well as to help and support the community surrounding the company. In the previous year, Saha-Union Group has taken part in many activities of building social benefit. 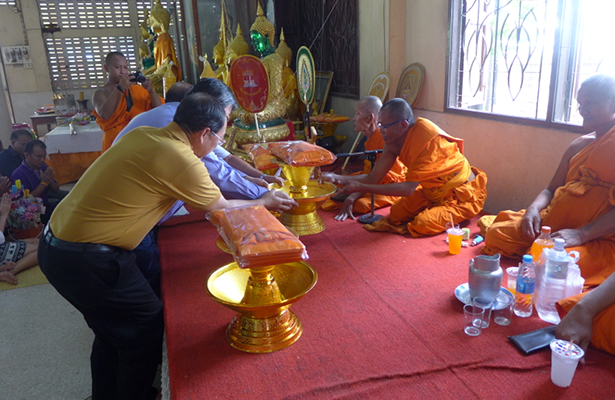 Saha-Union Group and Group Companies, along with the management and staff, joined the Royal Kathin Ceremony at Wat Rakang Kositaram Woramahawihan. Participating in a Buddhist Lent Day at Wat Bumpen Nua, Minburi , Bangkok. 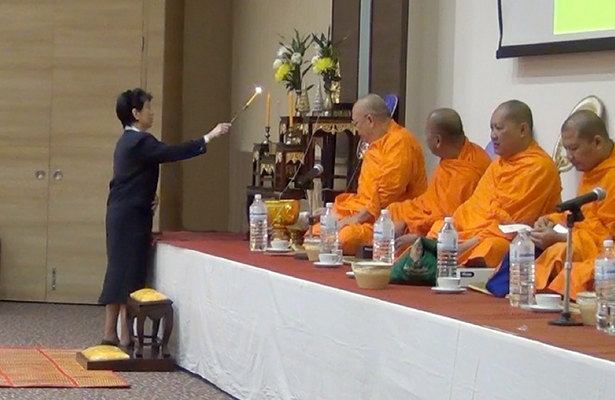 Participating in a Kathin Ceremony at Wat Tam Ru, Samut Prakarn. 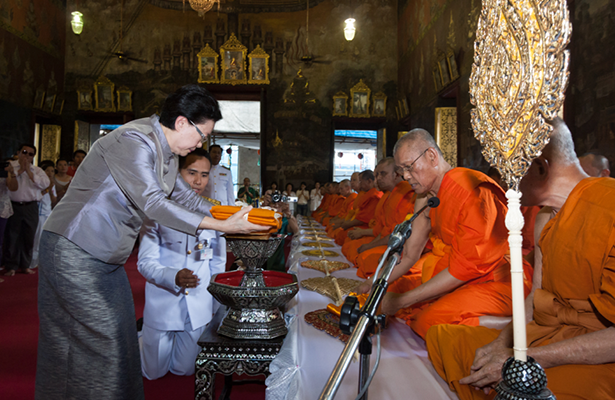 Representatives from the management and staff participating in rice and dried food offerings to monks at Wat Tai, Bangkok, in an occasion of New Year’s Celebration Ceremony. 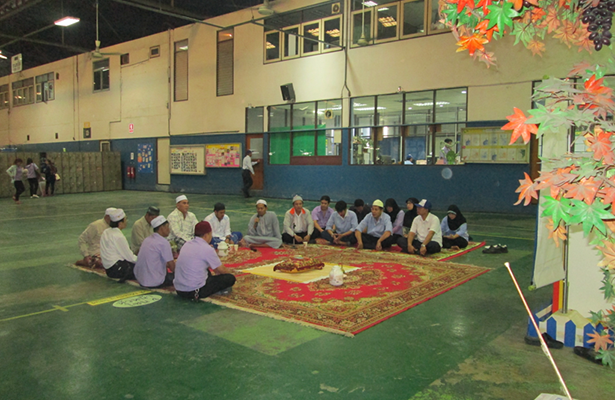 Representatives from the management and staff participating in the Islamic religious merit on the New Year’s Celebration Ceremony. Saha-Union Group focuses on the promotion of cultural and religion, as well as instilling good morals and ethics to employees in the organization. 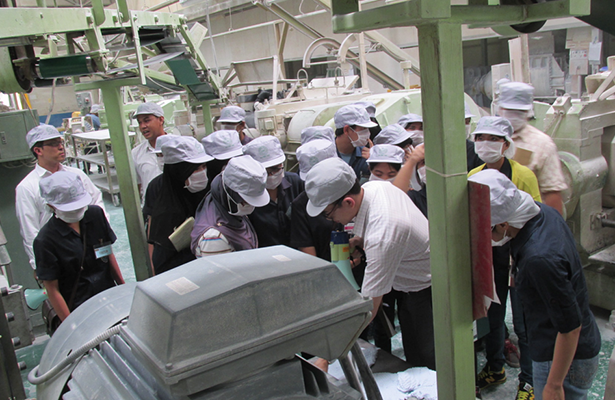 In the previous year, the management and staff have joined in various activities.